The Application obtains the information you provide when you access, use and register with the Application. When you register with us and use the Application, you generally provide (a) your name, email address, user name, password and other registration information; (b) transaction-related information, such as when you make purchases, respond to any offers, or download or use applications from us; (c) information you provide us when you contact us for help; (d) credit card information for purchase and use of the Application, and; (e) information you enter into our system when using the Application, such as snippets. We may also use the information you provided us to improve our services and to contact you from time to time to provide you with important information, required notices and marketing promotions. In addition, the Application may collect certain information automatically, including, but not limited to, Text Blaze feature usage and engagement (for example, the number of snippets created or the number of times a snippet is used). To help you speed up your work, Text Blaze includes intelligent suggestions. We currently implement one type of suggestion -- recommendations to create new snippets -- and additional types are planned for the future. Text Blaze has a strong commitment to personal privacy and smart suggestions are implemented in a privacy conscience manner. To help you evaluate whether these smart suggestions are right for you, the following outlines the methodologies used in the suggestions. If you choose to, you may opt-out of the suggestions at any time by disabling the Smart Suggestions options in the the Text Blaze configuration page. To create new snippet suggestions, first we generate a hash of the text you have typed. 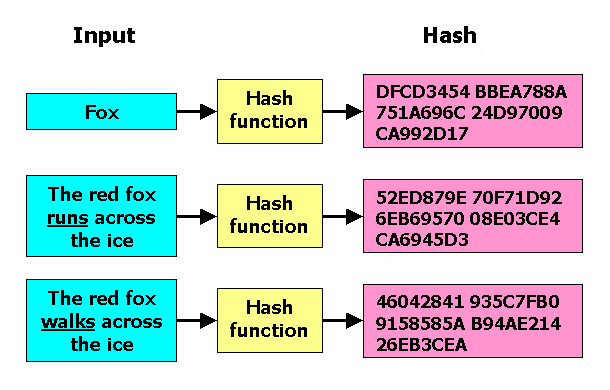 A hash is like an encryption of the original text but with the twist that the hash cannot be decrypted back to the original text. It's like you had a key to encrypt something but it only worked one way. Additionally, multiple pieces of input text can create the same output hash (which is not the case in regular encryption). Because of this, if you only have a hash, you can't definitively recreate the original text that was used to generate the hash (this includes Text Blaze, your neighbor, the NSA, and everyone else). Text Blaze uses hashes of your inputted text to identify common phrases you use without needing keep a record of the actual text you entered. So, for instance, if Text Blaze sees you used a specific hashed value several times; the next time you use something that maps to this hash value, Text Blaze can create a new snippet suggestions for you. Text Blaze is able to do that without knowing what the hash represents until it's ready to make a suggestions. Hashes are great! They allow Text Blaze to recommend new snippets without needing to store what you've written before we make a suggestion. We keep hashes locally in your computer's memory (so they will be cleared if your restart Chrome) and limit the length of time we hold them for to seven days. When you accept or reject a new snippet suggestion, we store its hashes as part of your Text Blaze user account so we can make sure not suggest the same thing to you again. Data may be periodically transmitted to external services to help us improve the Application and our service. We will share your information with third parties only in the ways that are described in this privacy statement. with our trusted services providers and partners who work on our behalf or help to improve Text Blaze. We will retain User Provided data for as long as you use the Application or maintain your account with us and for a reasonable time thereafter.